Add attractive edges to paper, greeting cards, photos and more. 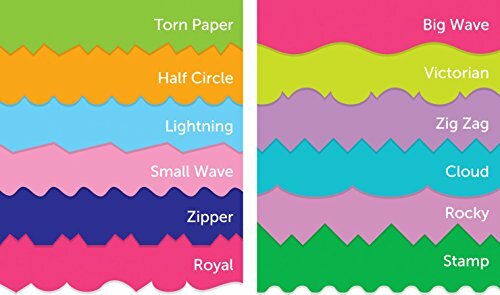 Great for collage and other paper crafts. 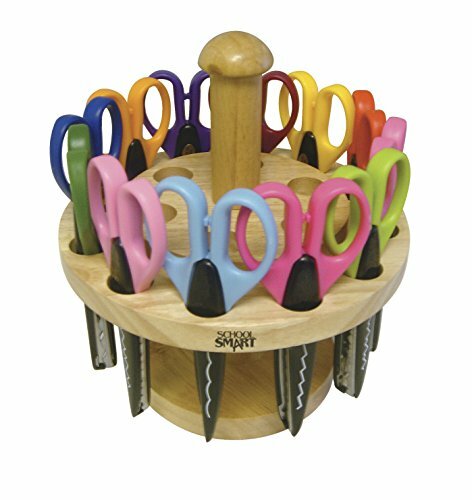 Durable plastic scissors with stainless steel blades, come in heavy-duty oak stand. Each pair has the pattern design and name printed on the side. Set of 12. Set of 12 Pattern Scissors With Attractive Oak Holder. High quality scissors with stainless steel blades. Great for scrapbooking and crafting. School Smart offers quality teaching and education products at a great price. Classroom tested and ready for home or school.